Asim Azhar and Hania Aamir are two names that have earned a lot of recognition in a very short span of time. These two young stars have established themselves in the entertainment industry and share a bond that seems unbreakable! Lately, Hania and Asim have been seen spending a lot of time together! well, from eating out to attending Asim’s concerts, and let’s not forget those adorable photo shoots…these two stars have surely gotten real close! Yes, the news of them getting a little too close spread like a wildfire! 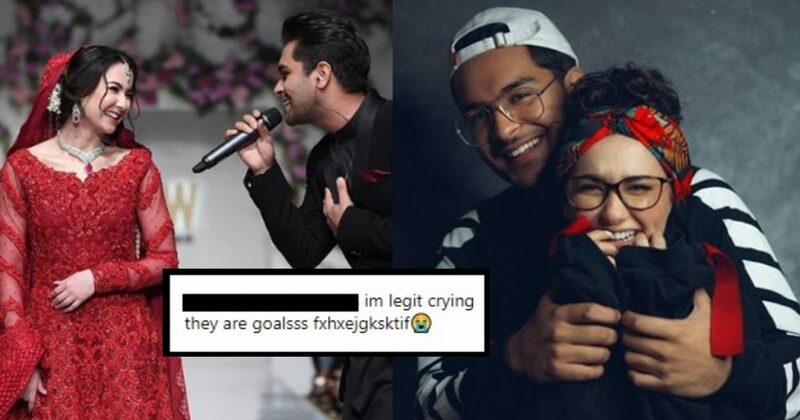 Hania Aamir and Asim Azhar have recently been all over social media and many Just recently, the two walked the ramp together at a fashion show where Asim Azhar was singing the current favorite song of every Pakistani ‘Jo tu na mila’ for none other than his ‘bestie’, Hania. Hayeeeee! Hania, dressed in a beautiful red gown, she looked ravishing! Khair, forget the rumors! 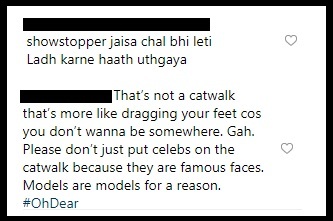 What happened last night on the ramp at a fashion show was utterly cute!! In case you missed it, have a look! This is something we could not have missed and well, everyone seems to be talking about this cute, lovey dovey harkat of Hania Amir! 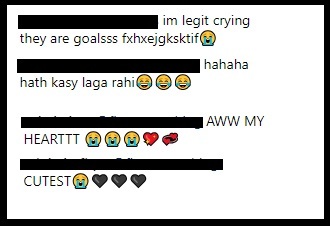 Upon seeing this video, it seems like the social media users couldn’t hold back their emotions and sab pighal gaye, bhae! Hayee… it was indeed adorable! And a few haters were spotted commenting too! Eeeeee, we can’t get over this video and okay, we clearly see the pyar! Haha. Spill the beans already, cuties! People are anxiously waiting for some news here!